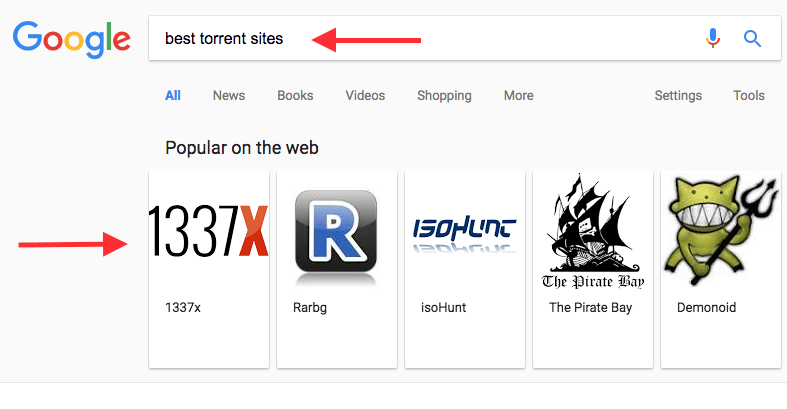 In a turn poised to piss off top executives and copyright holders in Hollywood, Google is now displaying suggestions for popular torrent websites at the top of search. As spotted by TorrentFreak, the Big G is now showing a carousel with curated torrent websites when you search for the term ‘torrent sites’ or ‘best torrent sites.’ The section features several notorious P2P hubs, including The Pirate Bay, RARBG and IsoHunt – all of which have previously been flagged for piracy. It remains unclear when Google implemented the change, but as TorrentFreak speculates: chances are the carousel is the result of netizens’ consistently searching for the best torrent alternatives available online. At the time of writing, Google seems to be wrongly putting legal streaming alternatives like Hulu and Crackle next to infamous pirating platforms like Putlocker and Alluc. Again, this setup is likely the result of algorithms automatically displaying what users are most actively searching and not necessarily decisions made by actual human beings in Google. Given that earlier this year Google and Microsoft both signed an agreement in the UK that will make it more difficult for websites associated with online piracy to appear at the top of search, you can expect the Mountain View company to eventually notice this inconsistency and proceed to amend it; much like what happened last time when the internet giant was wrongly displaying results from pirate sites.